If you want to experience finest local wines, bora wind, sun and friendly people you are at the right place. We are wine lovers trying to enjoy life. When we are in good company we feel at home. 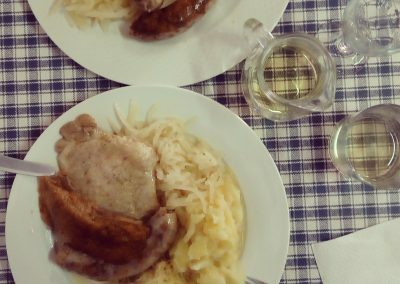 The wine and good food is in our culture. It’s our mission to give you the best local experience that you will never forget. 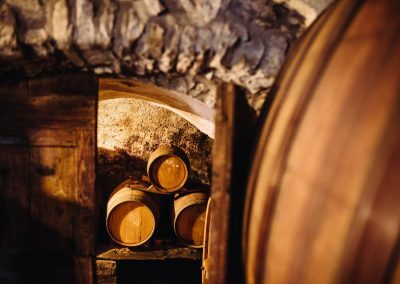 We will take you on an unforgettable adventure to local wine cellars. 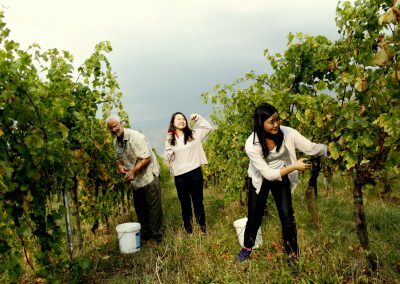 Here you will meet with local winemakers, learn about the production of wine and taste the local cuisine. Together in a good company we will discover new wine galaxies. You can experience the local wine adventure throughout the year. Welcome to explore the real eno-gastronomic treats. An abundant land where Bora wind is strengthening our roots. Fertile with fruits and grapes you transform your blood into wine. Your springs are full of crystal water and warm-hearted people. Wine paradise of Slovenia. Almost every house has its own wine cellar. Perfect conditions for growing grapes. The valley is located on the same latitude as the world-famous wine regions, Bordeaux in France and American Napa Valley, with the addition of our famous Bora wind. 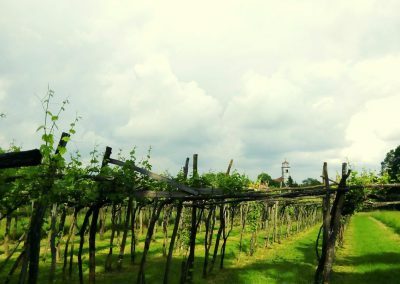 The oldest wine growing region in Slovenia that dates back to Celts and Roman times. The first Slovenian book on viticulture (Vinoreja), which was written in 1844 by a visionary priest Matija Vertovec. The birth place of the Slovenian national anthem “Zdravljica – A Toast”. The ancient people always said: When feeding our body we feed our soul. 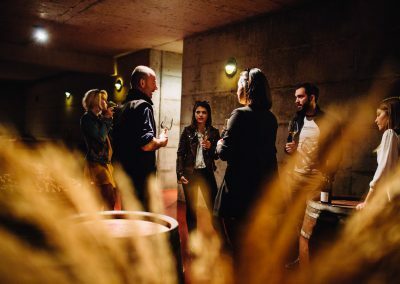 Tasting excellent wines and homemade food in good company, meeting the winemakers, together with local stories and singing will make your day. Happy and satisfied winestronauts after the tour is what keeps us going.